Businesses need to get a grasp on the importance of computer hardware warranties – but more specifically, the ways in which the warranties affect their operations. For example: Having a warranty on your critical server is a great idea, but what if that warranty states that your business needs to ship the server to the manufacturer for replacement…and that this can take up to two weeks? You’d be up a “certain” kind of creek, sans paddle, as they say. To make sure this doesn’t happen to you, we’re going to explain the reasons why we push clients to ask certain questions about their warranties, understand the impact warranties have on their business, understand the negative impact on business when IT equipment fails and how to mitigate the issues. Warranties are a relatively inexpensive insurance policy in the event you experience an outage. We often challenge business owners who argue that $500 is too much to pay for a warranty on a critical piece of hardware that could potentially cost them thousands of dollars in lost productivity, should it be out of commission for several days. What is the Life Expectancy of My Server? – When we hear this question, more often than not we find ourselves answering by posing questions back to the client: What types of applications do you plan on running? How important are these applications to your organization? It amazes us that while many companies try to squeak four and five years out of their server hardware, they are reluctant to keep that equipment under warranty beyond the original three years that came with it. What’s the Reality of the Situation with Regard to Warranties in the IT Sector? – Every time we hear excuses from companies, it makes us cringe; the reality of the situation is that servers contain moving parts and the failure rate of these parts – disk drives and fans – increase exponentially as the machines age. The cost of downtime or degraded performance is often overlooked or greatly underestimated. What are Our Hardware Replacement Options When We Have a Warranty Versus Not Having One? – It’s important to understand your hardware replacement options when you have a warranty in place compared to when you don’t; most hardware vendors will ship their server equipment with a standard three-year warranty which includes “8×5” coverage (you can call into support Monday through Friday between 9 am and 5 pm) and next-day hardware replacement. However, if the server in question is going to be functioning in a critical role in your business operations, you should consider the warranty upgrades. If you run a small business, we understand that you have to typically consider cutting costs wherever possible in order to keep your head above water for profit margins, but there are times when cutting costs just doesn’t work in your favor. Case in point: Purchasing, say, a server for your manufacturing business without a warranty. Servers without warranties can leave your operations completely non-functional for uncertain periods of time, so a warranty from your server manufacturer is worth every penny (the way we see it) for protecting the productivity of your business. Business Continuity – Your hardware is one of the key threads that maintain continuity of operations in your organization, and the threat of losing function of primary pieces like servers, firewalls, or switches should alone be enough reason for you to get a warranty when buying new equipment. Serviceability – It goes without saying that if your hardware isn’t covered under a warranty, the manufacturer is not obliged to repair or replace any part/whole of the equipment in the case of a failure; your only salvation in this case would be to hunt down parts and hope you’re lucky enough to find a working replacement part without overpaying – and within the same day. This delay can result in any or all departments in your company losing functionality and access to perform their jobs. Lost Productivity – Every minute that you lose because of a hardware breakdown costs your business money. 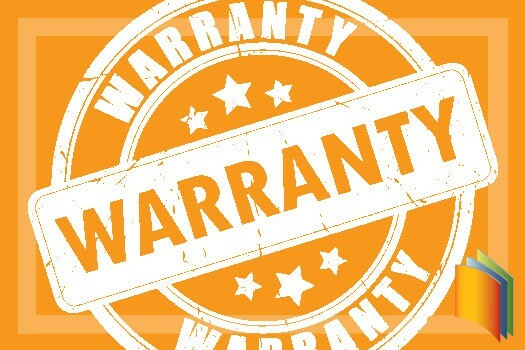 Whether it’s staff not performing or potentially losing customers/clients or the damage done to your reputation, a whole gaggle of time, effort and money has gone into building your business – making hardware warranties indispensable for yet another reason. As we stated before, we’ve heard all kinds of questions from clients regarding their IT equipment and whether warranties make sense or not. Clients look to our IT division, DMS iTech, for warranty advice and service. Support is only a phone call or email away!